The possibilities for the horror Donald Trump’s presidency will enact upon this country know no bounds, but his virulent anti-Muslim stance and the scattered and ominous talk of a Muslim “registry” is perhaps the most alarming of all. A new PSA, executive-produced by Katy Perry, highlights the parallels between the internment of Japanese-Americans during World War II and Trump’s racist rhetoric and asks us all to consider whether or not history might be repeating itself. The Los Angeles Times reports that the PSA was directed by Aya Tanimura, a filmmaker of Japanese and Australian descent, and Tim Nackashi and produced by Mari Rivera. The short film shares the story of Haru Kuromiya, who was forced out of her home in Riverside, CA with her family and moved to the Manzanar internment camp, under direct order of the American government. It’s this very thing that Muslim Americans fear could happen under a Trump presidency and for Tanimura, reminding people of this very-recent history is crucial. The filmmakers behind the short needed funding to cover the cost of the prosthetics and that, my friends, is where Katy Perry came in. “Katy has always been a champion of the underdog, of minorities, of the people who are kind of left of center, and she’s become more politically involved in the last few election cycles,” Tanimura told the Times. 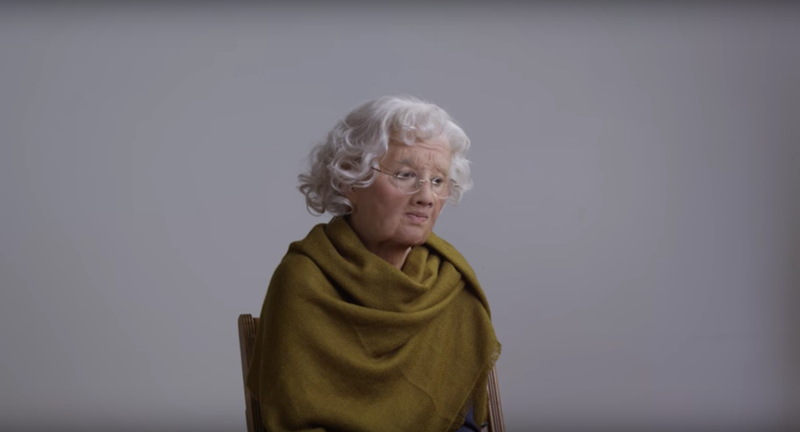 When the filmmakers called her and told her about this PSA, she gave them a blank check. The post has been updated for clarification: Tim Nackashi co-directed the PSA and Mari Rivera produced it.